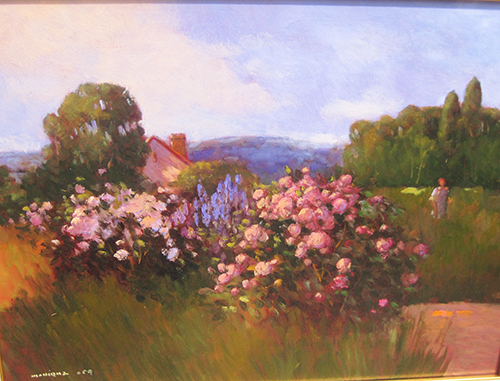 Artist Monique Sakellarios creates original oil paintings of landscapes, gardens, and market scenes in the impressionist style. She studied at the Leonardo Da Vinci School of Art, and the American University, both in Cairo, Egypt. 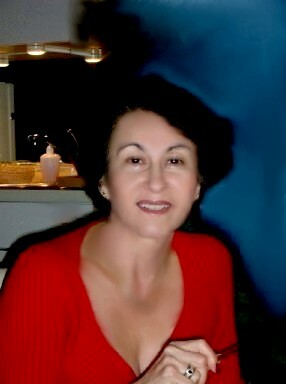 Monique exhibits in national competitions and has won numerous awards for her oil paintings. 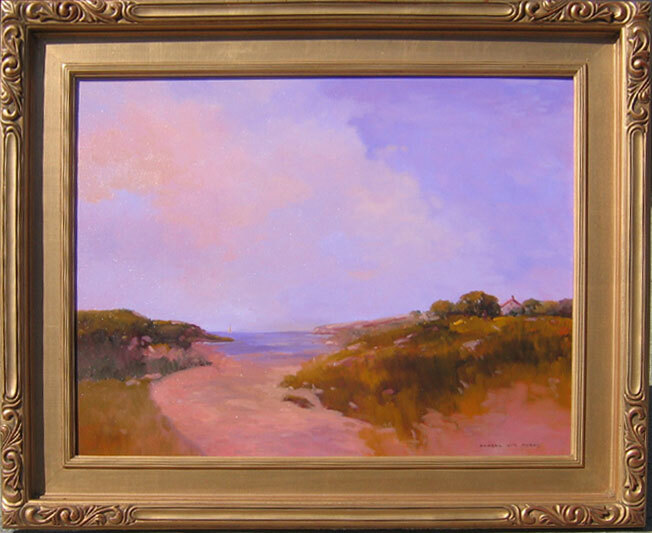 She is a juried member of the New Hampshire Art Association, a Signature Member of the National Oil and Acrylic Painters Society, and a Signature Member of Oil Painters of America. Monique's paintings may be seen in several galleries throughout the US. In addition, Monique has an impressive list of corporate clients. located at 57 East Pearl Street. appointment at (603) 879 9888.
feeling-that's the sole purpose of my work." Don't forget to bookmark this site for your convenience!